Sign up for the email Newsletter and receive updates about events & concerts right to your inbox! Very excited to debut a new Christmas song at this show. The song is called, Angels in the Snow, and is a collaboration between Allan Gilliland, Jesse Brown and yours truly. I'll be accompanied by my very talented friend Kimbal Siebert on guitar, and the fabulous SSO! "A holiday variety show of orchestral proportions! 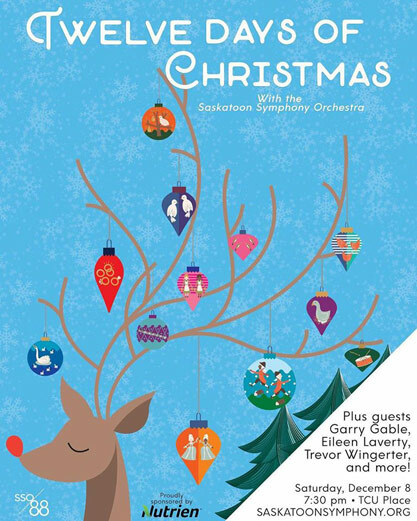 The SSO is joined by an amazing line up of Saskatoon stars including Eileen Laverty, Trevor Wingerter, and Garry Gable for a night that will put you in holiday spirit. As is tradition we open the concert with Leroy Anderson’s A Christmas Festival! Come find out what musical partridge in a pear tree we have up our sleeves." "We are thrilled to bring you another world premiere to close out our anniversary season. Kathleen still lives on the farm, but it is becoming a challenge because of the steady advancement of Alzheimer’s. Which of the children is going to care for her? Which is going to take over the farm? Inspired by King Lear, this is a beautiful exploration of memory, family and ties to home, set in rural Saskatchewan. 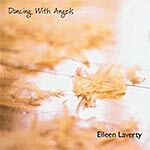 Featuring original music by Eileen Laverty." Thanks for a fantastic night at The Bassment! Such energy in the room! We had a great time and are grateful for your support. Shout out to Don, Julie, and staff at the club for your warm hospitality! "Friends, former students, colleagues, and acquaintances of the late Paddy O’Rourke are invited to attend an evening of music and poetry and tributes to this remarkable man who influenced so many people during his life here in Canada. 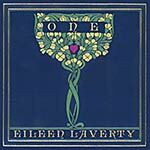 This artistic tribute to Paddy will feature musicians Eileen Laverty, the Accordion Project(Penner & Pizurny), Don Griffith, Dean McNeill’s jazz trio, Irish folk ensemble Comhaltas Ceoltóirí Éireann, writers Sean Virgo, Katherine Lawrence, Robert Calder, and visual artist Grant McConnell. Proceeds from the tickets of this concert will be directed towards establishing a poetry scholarship which will be publically announced at this concert." Nov 2, 3 - Eileen Laverty, Wilma Groenen, Jen Lane, and Gillian Snider are joining forces for two great nights of music in support of The Prairie Hospice Society. Shows are on Nov 2 and 3, and tickets are available at The Refinery in Saskatoon. *update: BOTH SHOWS are SOLD OUT Thank you! Nov 4 - Then the trio is on the road! Heading to Edmonton with Jesse Brown and Greg Hargarten to perform at the fabulous Northern Lights Folk Club on Nov 4. We are excited to share the bill with Jon Brooks, and hope you can join us! More dates and information in the Events section. Also, check back for a very exciting project announcement in the next few weeks! Thanks for stopping by, and hope to see you soon. 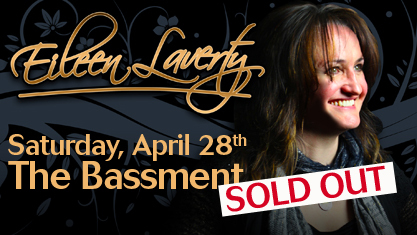 An evening of Irish music and dance, featuring Circling Over Shannon, Eileen Laverty Band, and the River City Reelin' Rockettes. Celebrate St. Patrick's Day with us at the Dakota Dunes Casino on March 17th, and the Prince Albert E. A. Rawlinson Centre on March 18. Ticket information can be found on the Events page. This past year Canada lost one of its great songwriters, Ron Hynes. To pay tribute the NLFC has assembled a dynamic group of singer songwriters to present Ron's music: Maria Dunn, Eileen Laverty, Tom Wilson, Bill Werthmann, Ben Sures and Shantel Koenig. November 26, 2016, Northern Lights Folk Club, Edmonton, AB. 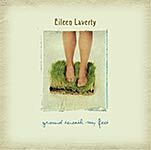 Eileen Laverty has toured internationally, entertaining all ages with her haunting vocals and heart-warming, humorous stories. 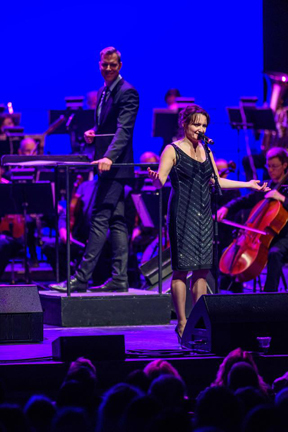 This past year, Eileen worked with celebrated Canadian composer, Allan Gilliland, and was a featured performer with the Saskatoon Symphony Orchestra. 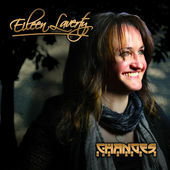 Her most recent release, From This Moment, includes her popular rendition of John Lennon's, Imagine, among other favourite covers. 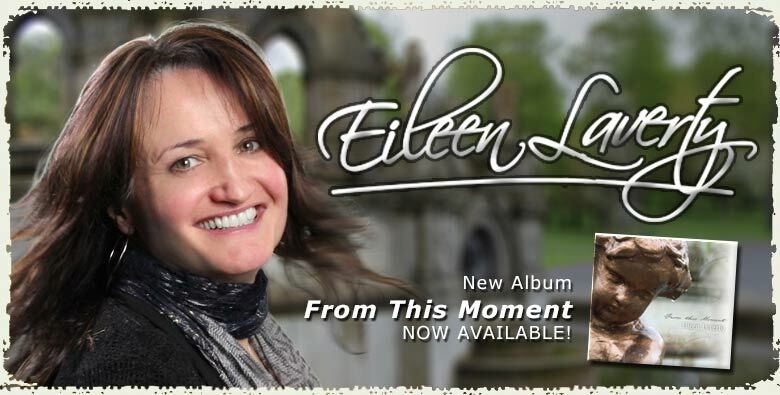 For An Empty Room, Eileen revisits a couple of songs from her acclaimed debut album. The whole team--Jesse, Greg, Corey, Glenn, and Kimbal--is ready for the big night at The Bassment! Kick off is at 9PM. Click here for information and tickets. Ticket details and other information always available on our Events page. We also have a few photos and tidbits posted on Facebook. So very excited to be featured in the upcoming season with the SSO. I am thrilled to be sharing this crazy adventure with my BFFs and music partners Jesse Brown and Greg Hargarten, Corey Hildebrand and Glenn Ens. Hope you can join us on October 17th, 2015! Many thanks to Phyllis and all the folks at Battle River Music Society for hosting such a great festival! Greg, Jesse, and I had a great time and hope to get back to play again sometime soon. Big shout out to the volunteers and audience members who wore big smiles along with their best rain gear! We were also introduced to some great new bands, and managed to catch the sets of our favourites Lynn Miles with Keith Glass, and Jack Semple. Good times! Mariposa Festival 2014 - such a great weekend! We were excited to reconnect with good pals Maria Dunn and Shannon Johnson, as well as meet new friends, especially The Ennis Sisters (Maureen and Karen). Loads of laughs and great music! A definite highlight of the festival for us was a workshop paying tribute to the music of Phil Ochs. After the show, well-known WIOX (New York) radio host, Sonny Ochs (an absolute gem!) enouraged us to record our version of one of her brother's songs. What a compliment--and an honour! 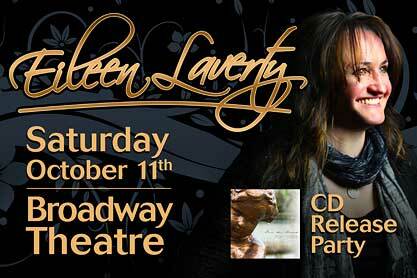 Sincere thanks to everyone who packed the Broadway Theatre in Saskatoon to celebrate the new release with us! We love you! Check out the new video featuring the single, "Don't Dream it's Over" (Crowded House Cover) from the CD, From This Moment. 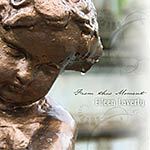 The new CD, From This Moment, is here! Copies are available at our shows over the summer (please check the Events page for details) and will be available on iTunes and CDBaby very soon. Jesse, Greg, and I are looking forward to playing the Mariposa Festival, July 4-6 in Orillia, ON. Then home to the Taste of SK Festival in Saskatoon on July 15th. On July 26th we'll head to the hometown of the one and only, Jesse Brown, for a concert in Albertville, SK. More exciting news to come. Meanwhile, enjoy the World Cup, have a great summer, and we'll be in touch. Thanks to everyone who came out to the shows in recent weeks. We certainly felt the love, especially at the Refinery with the awesome conga line (even Mr. Phillips!) -- and my inbox has been flooded with notes for Mr. Bean. (Please don’t encourage him.) Big hugs to those in Edmonton who braved the snowstorm and treacherous roads for some soft and sensitive ballads! We love you! Sincere thanks to Dean McNeill for the encouragement, the invitation, and direction, Allan Gilliland for the fantastic arrangements, and the talented members of the University of Saskatchewan Jazz Ensemble for sharing your stage and playing my songs. You all rock majestically, and I am so grateful. And thanks to YOU, for all the gentle prodding (and, occasionally, very direct instructions LOL) to get back into the studio. Your support and notes of encouragement are very much appreciated, and I’m happy to report we’ve been working on a new project, with a new CD scheduled for release in late Spring. I’ll be sure to keep you posted. Big congratulations to Mr. Wonderful himself, Jesse Brown, who has his own Christmas CD, December, hot off the press! He’ll be playing at the Jazz Bassment on Dec. 22, 4 - 7pm. I’ll be heckling from the front row. North, South, East, and West! November is gearing up to be one of the busiest months this year! I’m off to Borden next weekend for a show and to reconnect with my good friend and fabulous musician, Kimbal Siebert. Heading south to Eastend, SK, to help celebrate the launch of Sean Virgo’s new book, Dibidalen. Our annual November Night of Songs and Shenanigans and Special Guests is on Nov 9 at the Refinery in Saskatoon. Then the Trio heads to Edmonton to serenade at the Blue Chair Cafe on the 10th. Good times! Click on “Events” for concert details and ticket information. Thanks for your support! What a summer! On Aug 4th, I played at Farmfest in Willowbunch, SK with a great line-up of fabulous musicians, featuring the Campagne Family, Connie Kaldor, Heather Bishop, Bill Gossage, Davy Gallant, and many more. Fall kicks off with an exciting concert at the Bassment in Saskatoon. I am very pleased to be sharing the stage with Dean McTaggart, Kim Fontaine, and Greg Hargarten for a Songwriters’ Circle, Sunday, Sept. 9th, 8pm. Ticket info on the events page. It’s a busy time, but I hope you can make it out. I hope you had time to put your feet up this summer. Thanks for checking in, and for supporting live music.